Even some Republicans who voted for the House tax bill are concerned about the provision to tax graduate student tuition waivers. After students across the country staged walkouts to protest the proposal last week, 31 Republican House members -- who all voted for the bill to pass -- have asked party leaders to leave it out of the final version. "Repeal of the income exclusion for graduate students would subject thousands of graduate students to a major tax increase at a time in their lives when they lack the ability to pay," wrote the lawmakers in a letter sent Thursday. About 145,000 graduate students don't have to pay for tuition because their college has waived the cost. Currently, the award is not taxed as income as long as the student teaches or does research for the school. But a provision in the House bill would change that, adding the amount of tuition to the student's taxable income. The Senate tax bill, however, leaves the tuition waivers alone. 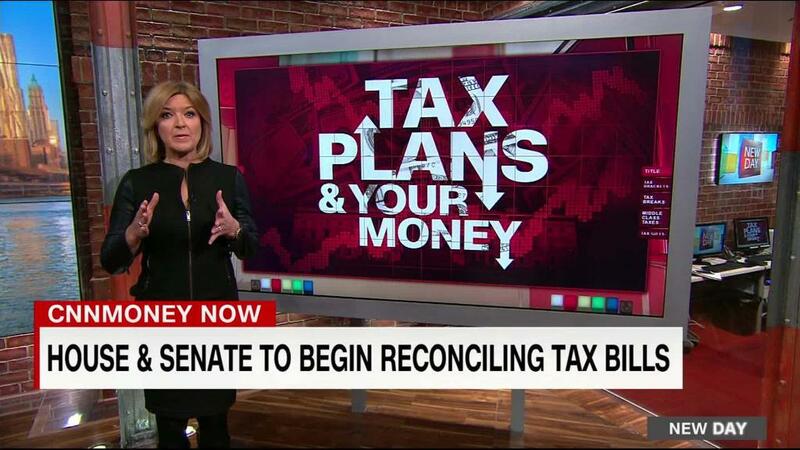 It's something lawmakers have to reconcile as conference committees attempt to hash out the differences and create one tax bill before the end of the year. Colleges and students say the tax on tuition waivers would be an obstacle to getting a degree. At a protest last week in Manhattan, New York University physics student Marco Muzio told CNNMoney that he's not sure he'll be able to continue his Ph.D. program if the provision ends up in the final legislation. "If I do, I will likely have to take out more loans," he said. 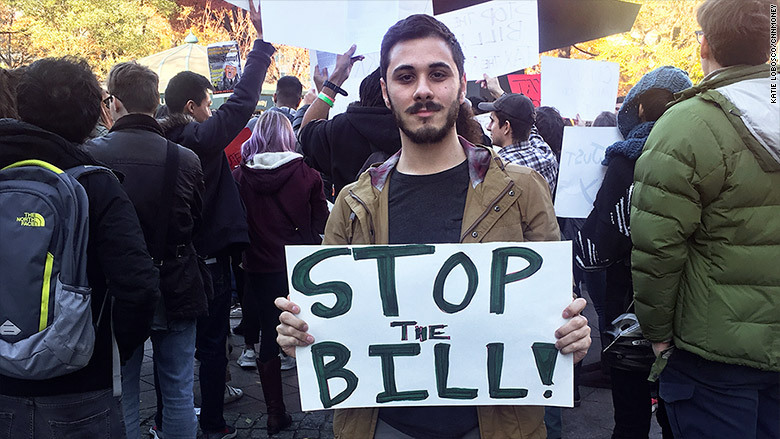 NYU Ph.D. student Marco Muzio protested the House tax plan last week. Grad school tuition at NYU, a private college, can cost more than $40,000 a year. Like a lot of graduate students, Muzio is living on a modest stipend for doing research and working as a teaching assistant. He expects the proposed tax would leave him with about $19,000 in take home pay, or about one-third less than he has now, making it tough to afford rent in New York City. The effort to oppose the measure was spearheaded by Congressman Pete Sessions of Texas, whose district includes Southern Methodist University. The group of lawmakers who signed the letter are also concerned that the new tax would hold back economic growth by hurting the country's research programs. More than half of students receiving a tuition waiver are studying science, technology, engineering or math. "Tax policy should make our country more competitive, and creating barriers to technological progress is contrary to that goal," the letter said. Taxing tuition waivers is one of several changes to education tax breaks in the House bill. It proposes eliminating the student loan interest deduction as well as the tax exclusion for tuition reimbursement received from an employer. It scraps the Lifetime Opportunity Credit that benefits some students enrolled in higher education for more than five years, but expands the American Opportunity Credit by one year. None of those provisions are included in the Senate bill, and a statement from Chairman Orrin Hatch's office reiterated a commitment to helping students on Wednesday.